Are Mortgage Closing Costs Tax Deductible? Sign up for my email list to receive money saving ideas! 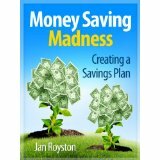 Need help creating a savings plan? This book can help!